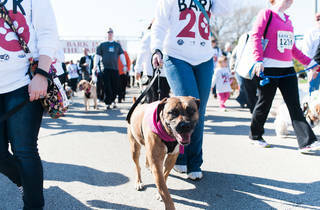 Photograph: Mark Wright Dogs and their human companions participate in Bark in the Park, a 5k run/walk at Montrose Harbor on May 3, 2014. The annual event from the folks at the Anti-Cruelty Society gives pups and their owners an excuse to get outside and have some fun. 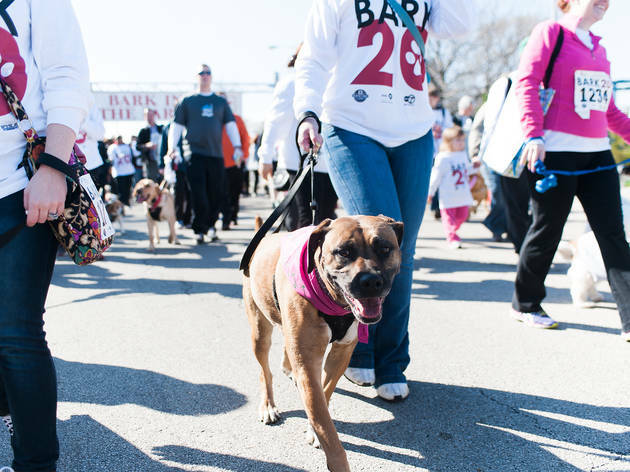 The day includes an optional 5K walk that's followed by agility training courses, an open-air marketplace with goodies for your pet, a spa with doggie massages and "pawdicures" and much more. Plus, all proceeds help the Anti-Cruelty Society care for thousands of animals every year. Oh, and you don't need a dog to participate.